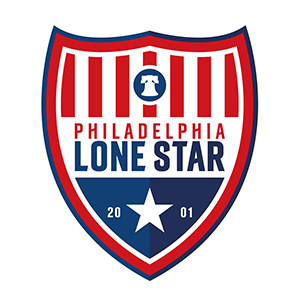 Willie Jones Joins JLSFC-Liberia from Samira FC | Philadelphia Lone Star F.C. MONROVIA, Liberia – Junior Lone Star FC-Liberia is excited to announce that forward Willie Jones has finally joined the club from Samira FC. After series of discussions spanning four months, Jones was finally released by Samira FC and his transfer approved by the Central Monrovia Sub-Committee and the Liberia Football Association. Speaking after his transfer, Willie Jones said: “I am so excited to be joining Junior Lone Star FC-Liberia. I had some wonderful years at Samira FC and I just want to thank the Board, coaches, and the team mates I had during my time there. “The chance to play for Junior Lone Star FC-Liberia and work with coach Solomon Freeman was something I could not turn down because it has always been my dream to play for the club in the USA. I can’t wait to start my journey with the Stars here and show our fans around the world why this club fought tooth and nail to get me. “With that said, I would like to thank the club founder Bobby Ali for convincing JLSFC Board to establish a team in Liberia. Coach AB is a mentor to so many players around the world and I’m thankful to him for this vision. Junior Lone Star FC-Liberia head coach Solomon Freeman commented: “Willie is one of the best young strikers in Liberia and I strongly believe that he will be a great asset to our young and talented squad this season in the third division. For his part, club founder Bobby Ali chimed in: “It’s been tedious four months trying to get Willie and I would like to thank the club board for seeing to it that this transfer was completed.